If you’re planning a visit to Italy, and are looking for something different than the usual paths, we highly recommend to take a look at the new network Ligurian Gardens. It proposes an itinerary of parks that were created in Liguria between the Renaissance period and the 20th Century. 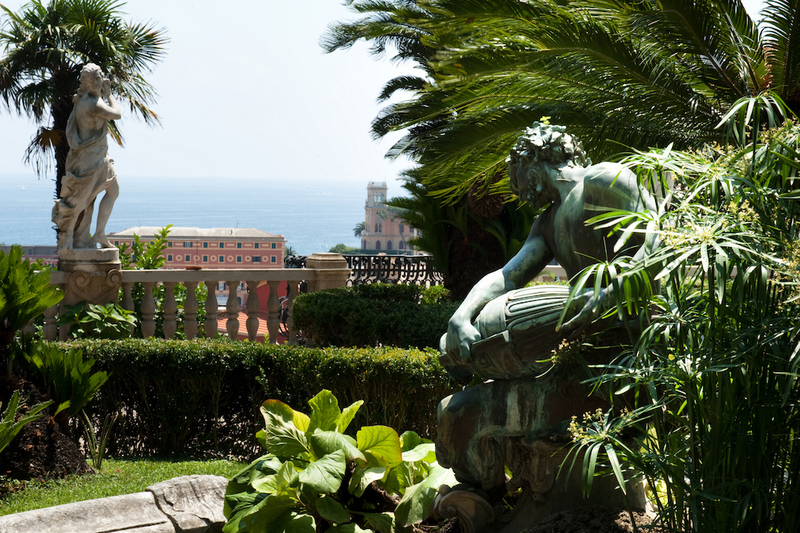 Not only a botanical and landscape tour then, but also historical and cultural, Ligurian Gardens touches locations from Savona to Tigullio which overlook the sea and can be visited in any time of the year, even in winter. The first of these are the Gardens of Villa della Pergola in Alassio, Savona, which cover a surface of 22,000 sq m. Renowned for its exotic flora and evergreen Mediterranean vegetation, this park was restored in the late 1870s by General Montagu McMurdo and his wife Lady Susan Sarah Napier. 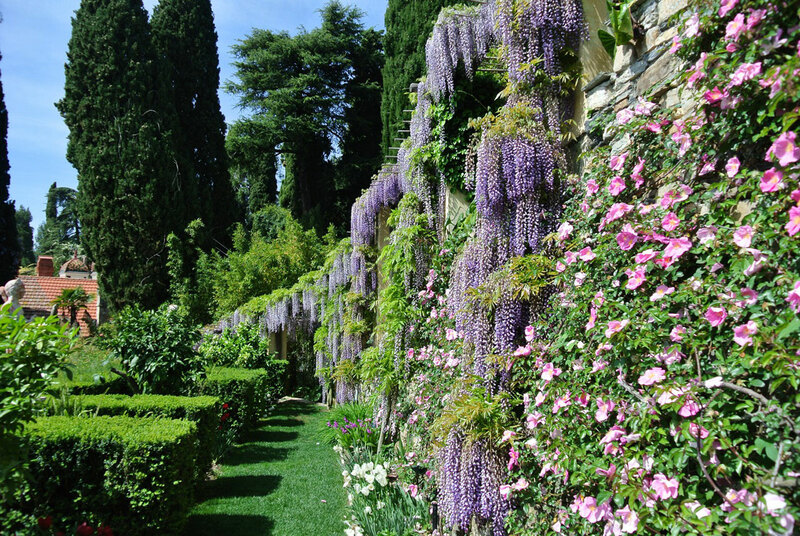 Today there are over 32 varieties of wisteria recreating romantic pergolas all around the gardens and a botanical garden with the Path of Senses crossing it. These gardens are open on Saturdays and Sundays from March to October, only by admission guided tours. 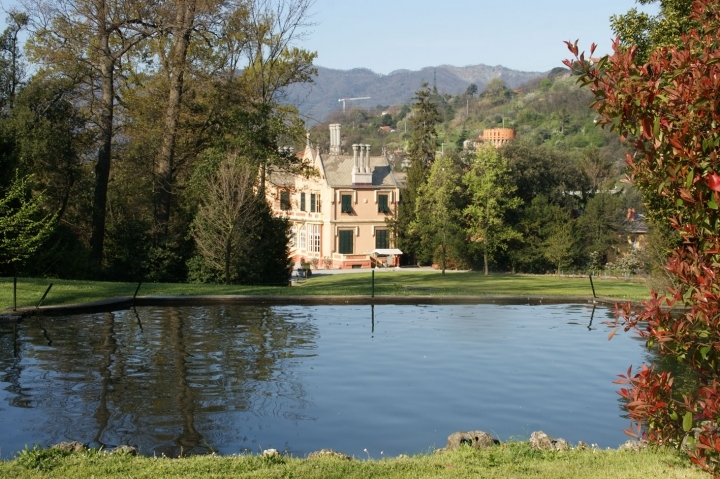 At Pegli, near Genoa, one can, instead, find the 19th-century park of Villa Durazzo-Pallavicini and a small botanical garden. Designed by set designer Michele Canzio in the 1840s, the park is highly theatrical and has been organized as a series of scenes forming a play with a prologue and three acts. For this reason, everything from the buildings to the lake, from the waterfalls to the statues are fundamental for the scenes. From November to March the park is open only on weekends from 10 am to 5 pm, from April to September daily, except Mondays, from 9.30 am to 7 pm and in the month of October only until 6 pm. On the hills of the Val Polcevera, near Sant’Olcése sits the 18th-century Villa Serra in Comago. The park extends itself for 9 hectares along the serpentine banks of the Rio Comago. Typical of 18th-century parks, here one can find rare examples of redwood trees, tulip trees, magnolias, cedar trees and pagoda-trees. Open daily, except on Monday mornings, in January and February from 10 am to 5 pm, in March from 10 am to 6 pm, in April and May from 9 am to 7 pm, from June to September from 9 am to 8 pm, in October from 10 am to 6 pm and in November and December from 10 am to 5 pm. On the coastal road to Portofino, one can find the 14th-century Cervara Abbey, also known as the Abbey of San Girolamo al Monte. What was once the vegetable garden of the Benedictine monks is today a monumental Italian Renaissance garden extending over two levels. 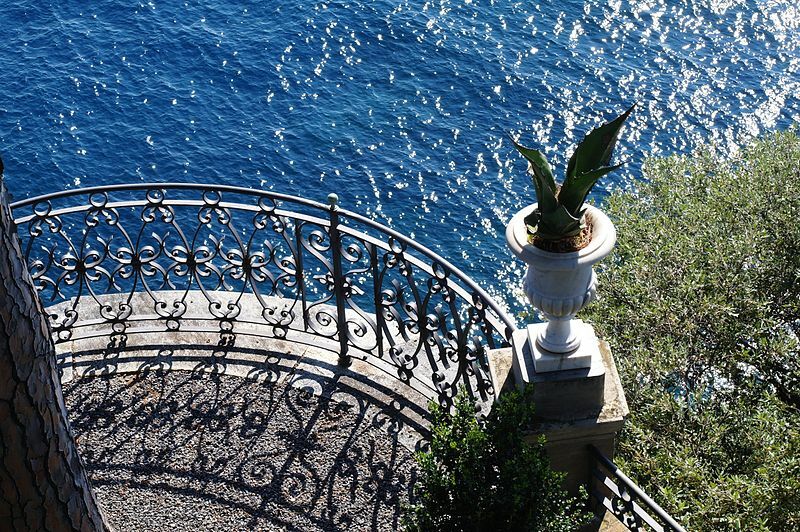 With a breathtaking view over the Gulf of Tigullio and the inlets of Paraggi and Portofino, this garden is truly unique. On the lower level, hedges of boxwood surround the 17th-century putto marble fountain whilst grapevines frame pergolas and a centuries-old wisteria covers an enormous arbour. On the upper level of the garden, columns are covered with fragrant star jasmine, bougainvillea and bignonia. Here one may find colourful bird-of-paradise flowers, citrus trees, pine trees, an ancient pink pepper tree and an extremely rare pink caper. For a guided tour of both the abbey and garden there is a toll-free number. 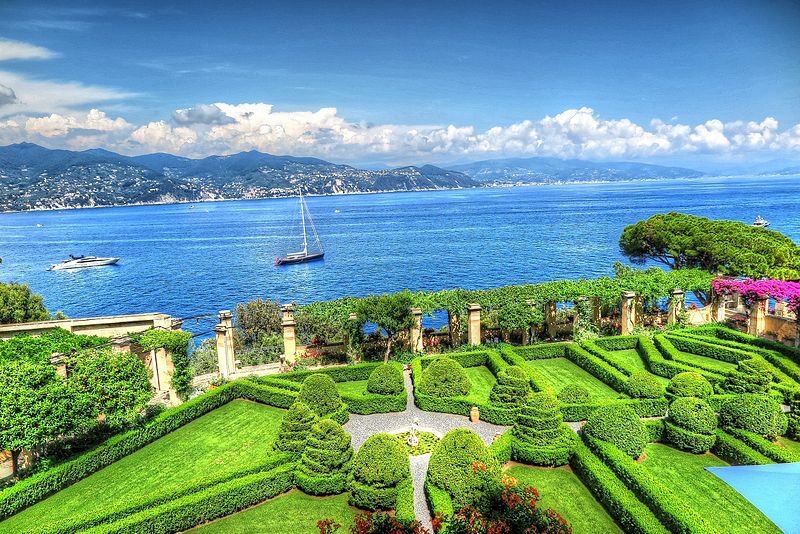 Another pearl is Villa Durazzo in Santa Margherita Ligure. Today a museum, it includes the two villas, Durazzo-Centurione and San Giacomo, and the 3 hectare 17th-century park with an Italian garden overlooking the gulf. The oldest part of this park is the little Citrus Garden located on the terraces above the sea, whilst the Italian garden was developed in the 19th century with geometrical box-tree hedges embellished by cycads, roses and several varieties of camellias. Along the slopes of the hill one can find the Romantic English wood with an impressive mingling of exotic and Mediterranean flora including palm trees, Holm-oaks, cypresses, camphor trees, lime trees and pine trees. 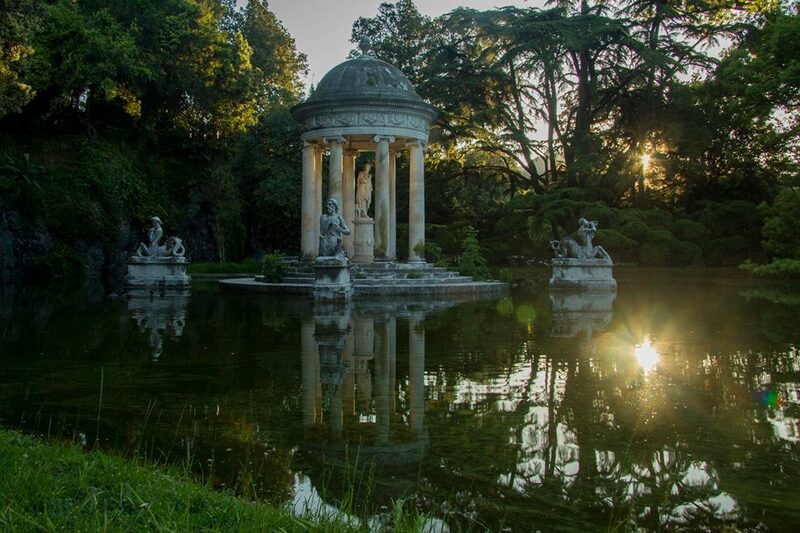 Recently restored is the Centurione Princes’ Secret Garden, a small jewel of this park. 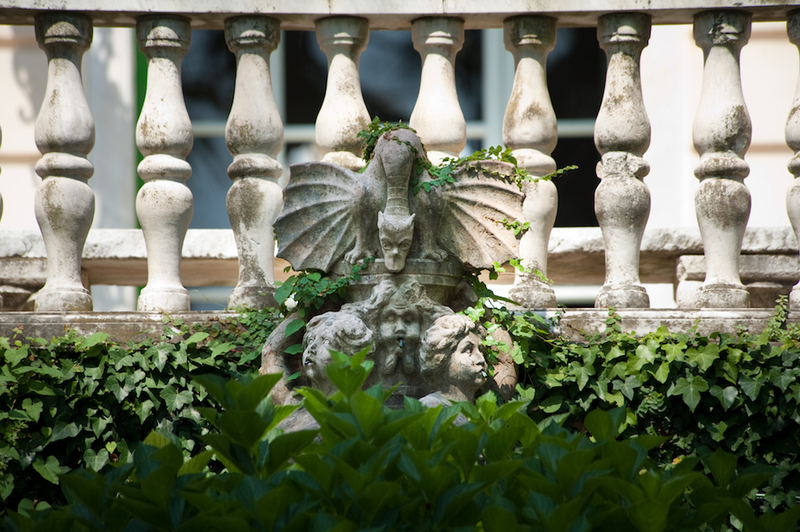 Villa Durazzo is open daily in summer from 9 am to 7 pm and in winter from 9 am to 5 pm. Questa voce è stata pubblicata in Events in Liguria, Genoa, Historic houses and gardens, Liguria, Not Only Tuscany, Savona e contrassegnata con Abbazia di San Girolamo al Monte in Portofino, Alassio, Ligurian Gardens, Pegli, Portofino, Sant'Olcese, Santa Margherita Ligure, Villa della Pergola, Villa Durazzo-Centurione, Villa Durazzo-Pallavicini, Villa Serra in Comago. Contrassegna il permalink.